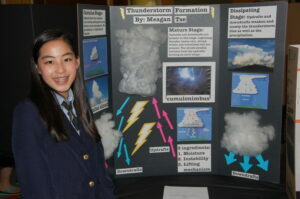 At Naperville Christian Academy, grades 6-8 comprise our Logic School. During these very important years, students begin the process of self-discovery and more in-depth questioning of their world, language, their faith, and their passions, structured around a new discipline, logic. Our students begin to speak, present, debate, and will write their first research papers during these years, closely helped and guided by their teachers. Their studies in Latin go from very basic grammar and sentences to advanced constructions and some poetry. In Bible the students do a three year, close reading of the scriptures, providing them with an in-depth understanding of the content, culture, and genres of the biblical text. In history the students begin to concentrate more and more on reading and interpreting primary sources, including texts, photos, movies, musical compositions, and pieces of visual art. The 6th Grade is a transitional year as students learn to take more responsibility for their education. This shift is signified by moving from a single classroom to multiple classrooms as well as the addition of logic to their weekly class schedule. The expectations of logic school students increase as they must accept the challenge of becoming better readers, writers, and speakers. They also continue to develop their sense of social awareness as they maneuver through adolescence interacting with teachers and peers. The 7th Grade is an important year because students are between transitions, and they have the time and space to keep developing the fundamental skills they have received as well as focus on acquiring greater logical skills. These students have the privilege of growing through practice and repetition, which is essential to mastering the liberal arts. The 8th Grade continues to deepen logical skills by having students debate in class. 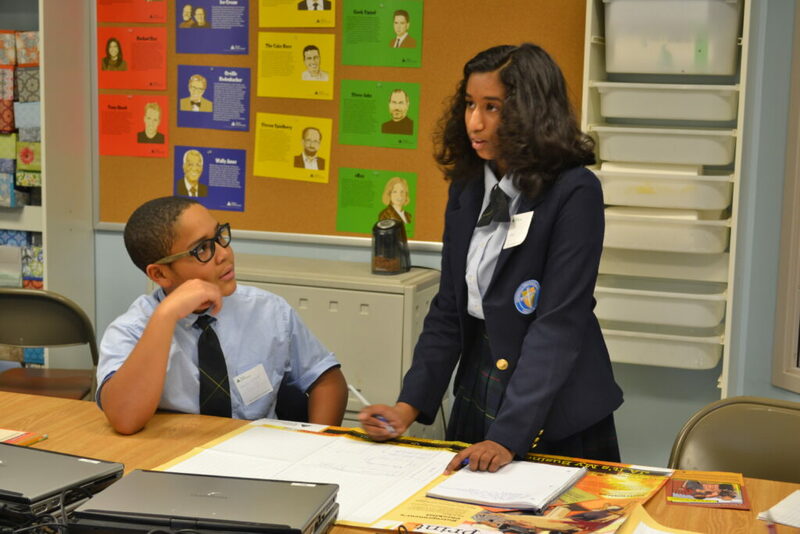 Even though grammar, logic, and rhetoric pervade all grades and classrooms at a classical school, the focus on debate in the 8th grade represents the harmony of logic and rhetoric as they transition out of the Logic School. By the 8th grade they are expected to be organized, responsible and mature enough to enter the Rhetoric School. The Rhetoric School is the great crescendo of classical education, but it is nothing without its grammatical and logical counterparts. Students select an elective of art or music each trimester. Electives cycle every 3 years. Students are required to take one trimester of art and one trimester of music each year. Students take 3 physical education classes per week. Classes focus on skills, game rules, sportsmanship and fitness.